The high-precision brush helps coat your lashes in 360° root-to-tip intense pigment whilst giving them extra length and volume. 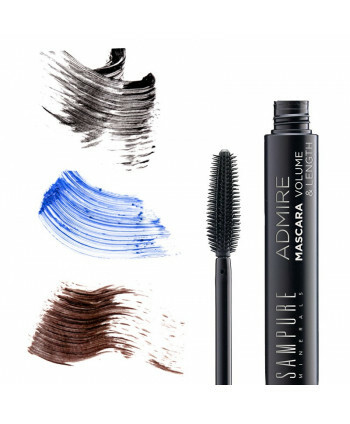 A luxurious, richly-pigmented mascara that softens and nourishes your lashes, painting them with saturated colour for hours of mess-free performance. Natural waxes and oils, such as jojoba oil and olive oil, moisturise and protect hair follicles, allowing lashes to grow longer and thicker. Halal certified, vitamin-infused and long-wearing formula coats lashes in pure, intense colour without clumping or smudging.